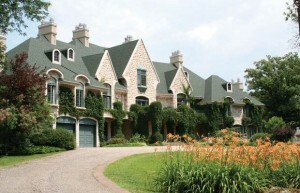 Just last month Montreal, Quebec played host to Canada’s first absolute auction for a private luxury residence. 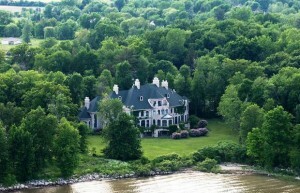 With a bid of just $3.4 million Anna Chrostowska won the auction for the 17,000 square foot mansion on 5 acres with 550′ of waterfront. Shortly after the home was put back on the market, claiming the sale had fallen through. Owner John Hooper, 70, and his wife have filed a lawsuit for breach of contract, seeking $550,000 from Anna, a Westmount businesswoman. Reports claim Chrostowska quickly vanished after winning the property and a stop payment was put on her $235,000 second deposit. The owners are also seeking $310,000 to cover the 10 per cent buyer’s premium to be paid as commission to the broker and Grand Estates Auction House, the company who handled the auction. The Hoopers had planned to travel the world after selling their family estate but that will have to be put on hold until a new buyer comes along. The property has been relisted with Youri Rodrigue and offered at the price of the winning bid, $3,410,000.